Join us for our May Café Connect at Ellenbrook Central Shops on Wednesday May 1, any time from 9:00 until 10:00 am. The first 30 attending get their coffee for FREE. Bring a non-member guest and if they’re amongst the first 30 we’ll give them a free coffee, too. Grab free tickets here to register your attendance. Looking forward to a quick catch-up with you. 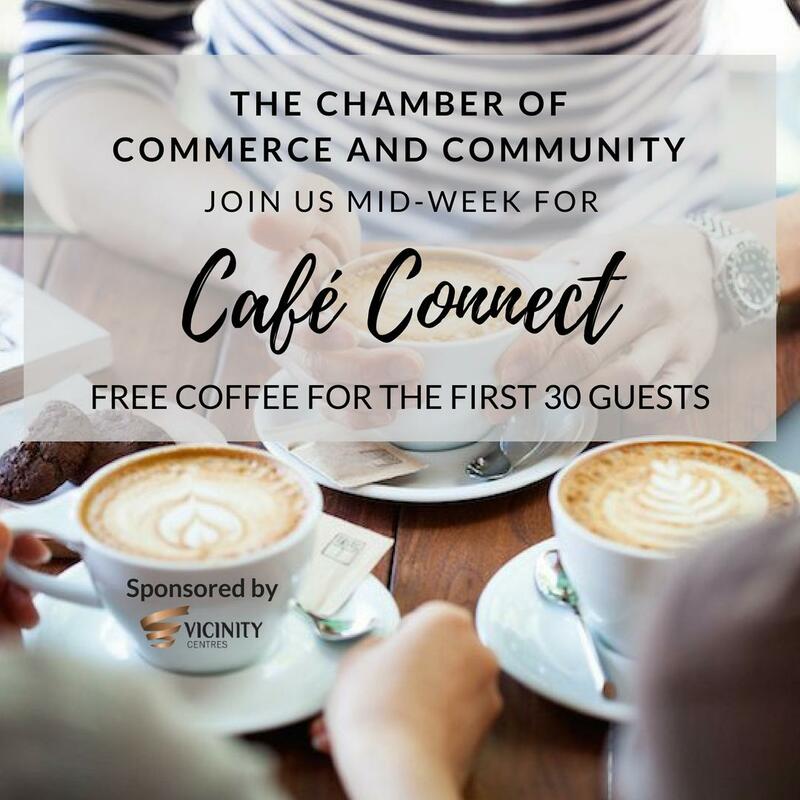 Thank you to our Café Connect Sponsor, Chamber of Commerce and Community Foundation Member Vicinity – Ellenbrook Central!